Nero SoundTrax for Windows 10 - a program for editing audio compositions with a basic set of options. The utility is designed to create playlists, mixes, trimming tracks. A “hint wizard” is supported, indicating in detail to the user how to proceed. In the presence of a multi-channel recording, the ability to create phonogram. The application recognizes any media connected to the USB port. Lossless format is not supported. Finished files can be added to CDs. 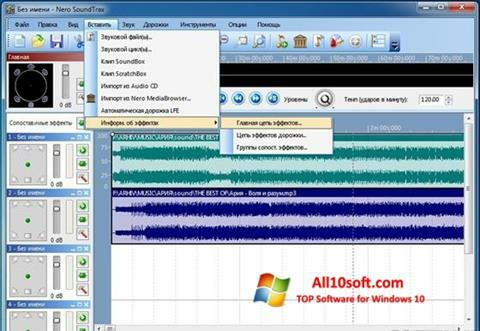 You can free download Nero SoundTrax official latest version for Windows 10 in English.